Have you grown tired of 50s and 60s for temps? Are you hoping for an early arrival of summer-like conditions? 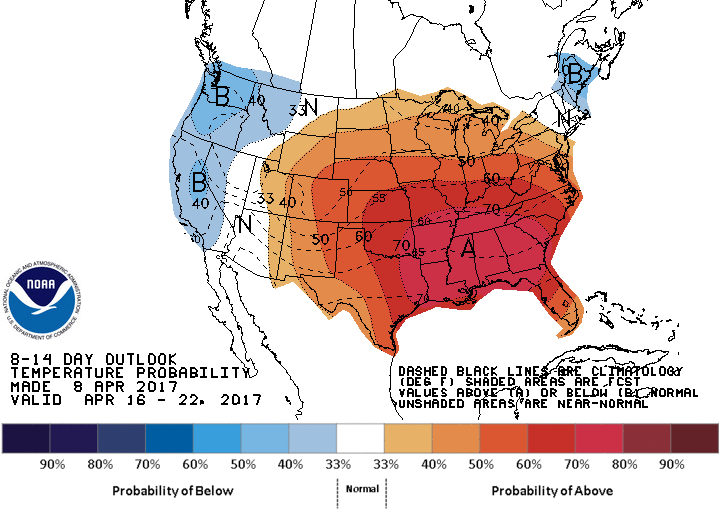 If not, you may be disappointed to learn that Mother Nature is cranking up the heat in the Mid-South this coming week. With high pressure in control over the eastern half of the United States, a great weekend has been on the menu for the Memphis metro. Temperatures on Saturday reached the mid 70s, some ten degrees higher than what we saw on Friday. This spells the end of the cooler air that came in following a series of storms in the couple of weeks prior with more above average warmth for the foreseeable future. Sunday will see temperatures in Memphis potentially push to near 80 degrees once again with mostly sunny skies, but winds increasing ahead of the next system that could bring unsettled weather to the area. This strengthening of a southerly wind could push gusts to near 30 mph tomorrow, so be sure to watch those loose objects around your house. This continues into Monday with more clouds building in and temperatures in the mid to upper 70s. While the east is basking in the warmer and calmer conditions, the west is battling with rain and thunderstorms rolling in. That low pressure will shift across Colorado and into the Great Plains to start the work week, funneling the rain forward and into the Mid-South by overnight Monday and into Tuesday. The strongest potential for rain and thunderstorms comes on Tuesday, with the arrival of a weak cold front that washes out over the region by mid-week. However, temperatures are not expected to fall off much if at all into the middle of your work week, with 70s and even 80s still possible for most. A low chance of showers and storms sticks around too, though mostly in the afternoons once the atmosphere warms up over the course of the day. Right now, we don't expect any storms to be severe this week. 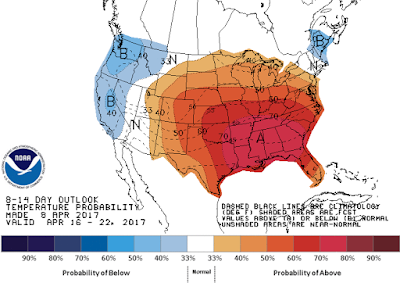 A summer-like pattern then sets up by the end of the work week into Easter weekend, with long-term forecasts showing the warmer air is here to stay as we head towards May. Want more weather info for the Memphis metro? Be sure to check out our human-generated forecasts each day, as well as on our social media platforms. You can also access our forecasts on the go with the MWN app, including pinpoint severe weather alerts from StormWatch+. Enjoy a great weather weekend!